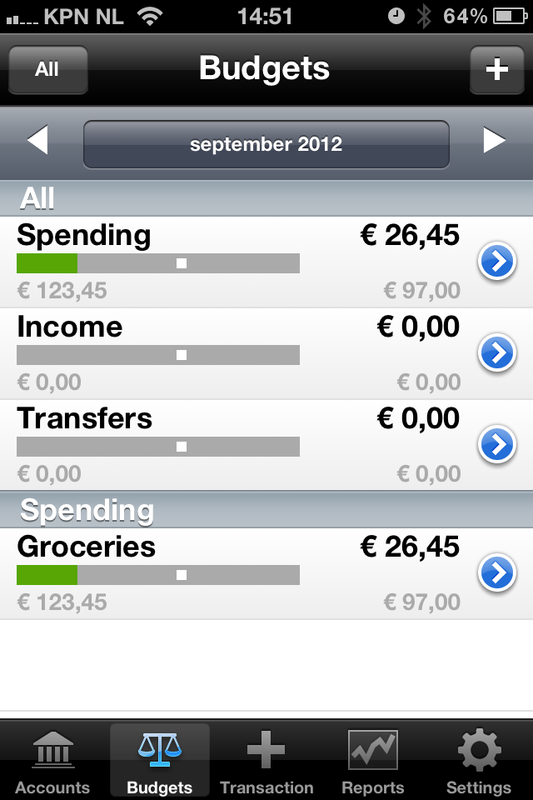 To track my spendings, I started using the Account Tracker iPad app by Graham Haley. It’s a very solid and well written app that I’ve been using for some weeks now. I really like it, especially because it has a clearly designed gui and rich feature set. Another big plus is that the developer responds very quickly. But, entering all transactions by hand for me was a no-go. I just don’t want to do that because it’s a lot of work and we might also forget to enter some. Furthermore, almost all transactions we do are done electronically. 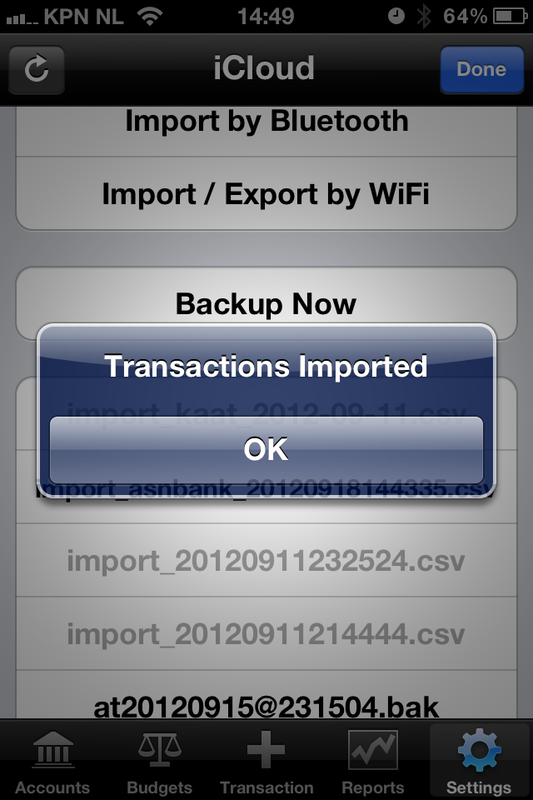 That’s when I started to think about importing transactions from our Bank Account into the iPad app. 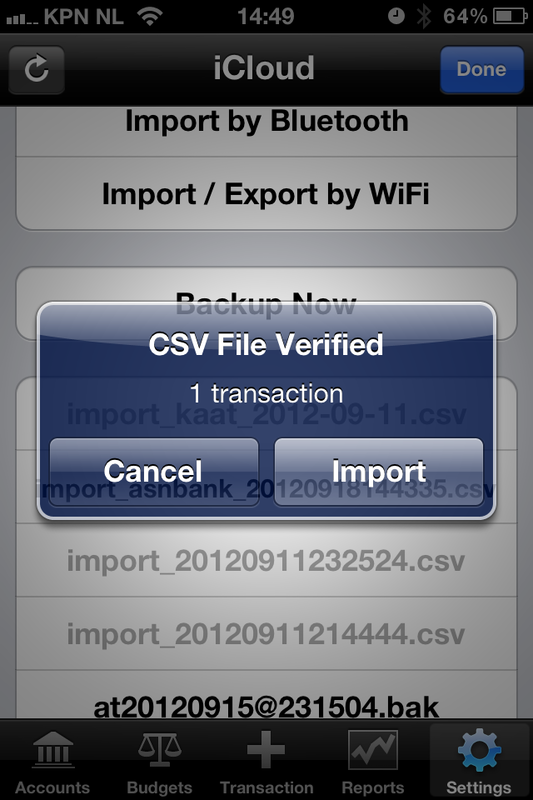 Fortunately the app has a feature that let’s you import a csv file. Our bank’s website also has an export feature so that should be doable! Of course, the formats differ so a direct import is not possible. Also, I want to track spendings by category without entering the category for each and every transaction. I wanted to create something that would work as automatic as possible. Good news: I just pushed the first public version to GitHub! Let me tell you more..
My goal was to enter all our 2012 transactions to the app. To start, I created the accounts in the app and set their opening balance to the balance on 01/01/2012. You can create as many accounts as you like, order them in groups, sort them and so on. That’s all (for now) you’ve to do in the app. I assume you know how to export transactions from your Bank Account. There should be an option to download a ‘csv’ file, also often referred to as ‘Comma Separated Values’. Contact your bank, it’s a common feature. Most banks have their own format (order of columns and number of them to be exact) in which they export transactions. Therefore, a solution that works for anyone out-of-the-box is not possible. But, I did the next best thing: wrote something that can be easily extended. I have accounts at two different banks: ASN Bank and Triodos Bank and have added support for both. I’ll ask some people I know for a dummy export, so I will be able to add support for more banks later on. If you want to do it yourself: the README on Github describes how to add support for your own bank. You can download my scripts for free from the GitHub project page. 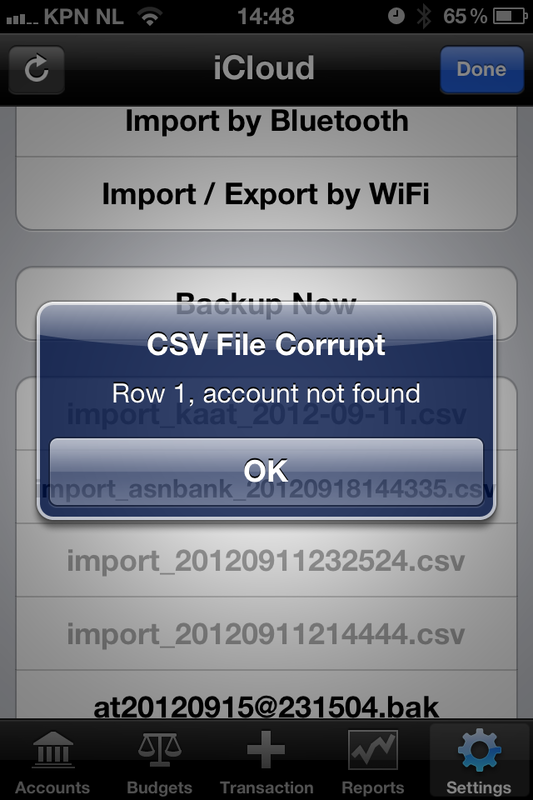 I login to my ASN Bank account and export a csv-file. The ASN Bank is pretty smart: they remember what transactions I downloaded last time, and only let me download new ones. This is pretty cool, since that prevents double transactions. Triodos Bank let’s you download transactions by a date range you enter. Be careful not to download the same transaction multiple times. If you have more than one file, just add them to the same directory. The script will combine them so you don’t have to worry about that. Different accounts is fine, as long as they are from the same bank. 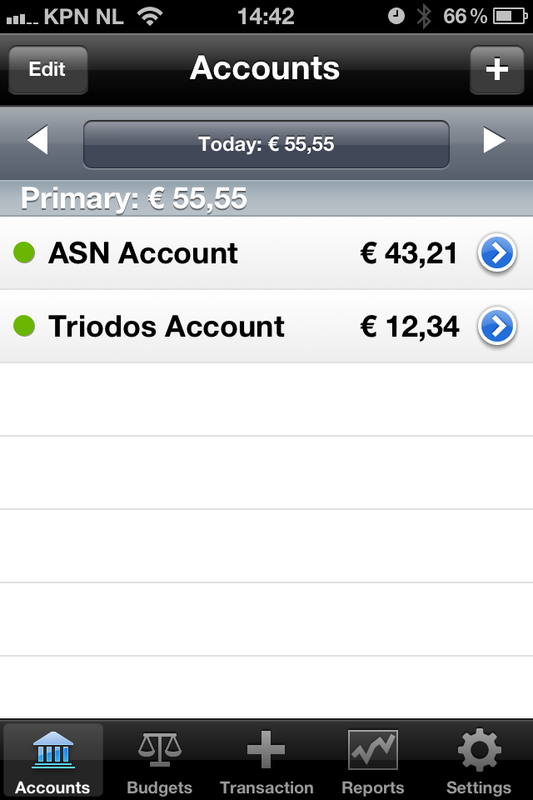 The names of the Accounts (ASN Account and Triodos Account in this example) need to match the names in the app. See the image above. The number refers to the Account Number that is in the export file (this is your own account). Be careful to enter it exactly as in the export file. As you can see ASN Bank has no separators, while Triodos Bank has. There is no limit in how many you can add. All you need to know is that the first one that maches, is used (it works top down). 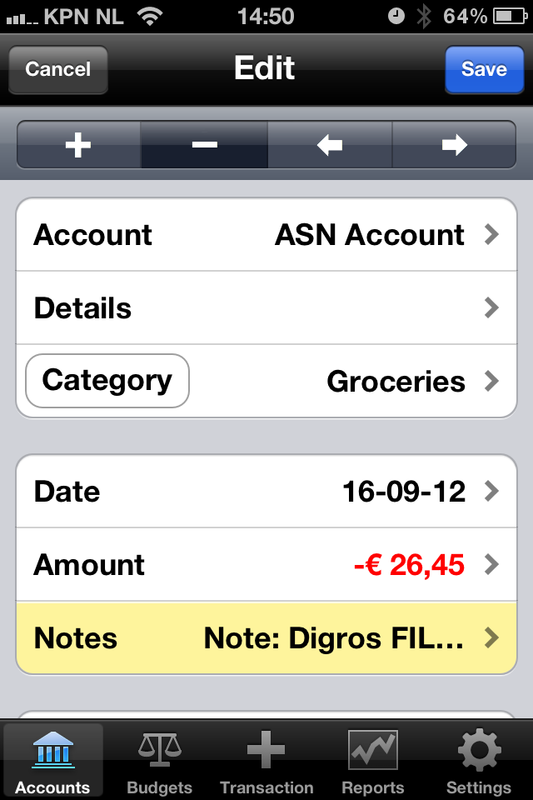 In the example above, when ‘Albert Heijn’ is in the description of the transaction, the category is set to ‘Grocaries’. When ‘Shell’ is found, the category is set to ‘Fuel’. I hope you get the idea. It works for both spendings and income. If no match is found, the category ‘Unknown’ is used. (configurable in the settings file) When this happens, the script warns you, so you can easily see what line did not match any category. You can either safely ignore it, or add an extra category to the settings (and re-run the script). You just have to do it once, all transactions that match will be handled automatically from then onwards. But remember: you can always edit the categories in the app later on as well. Even split them between two categories. Also have a look at the timezone setting, if you’re not in ‘Europe/Amsterdam’, like me. 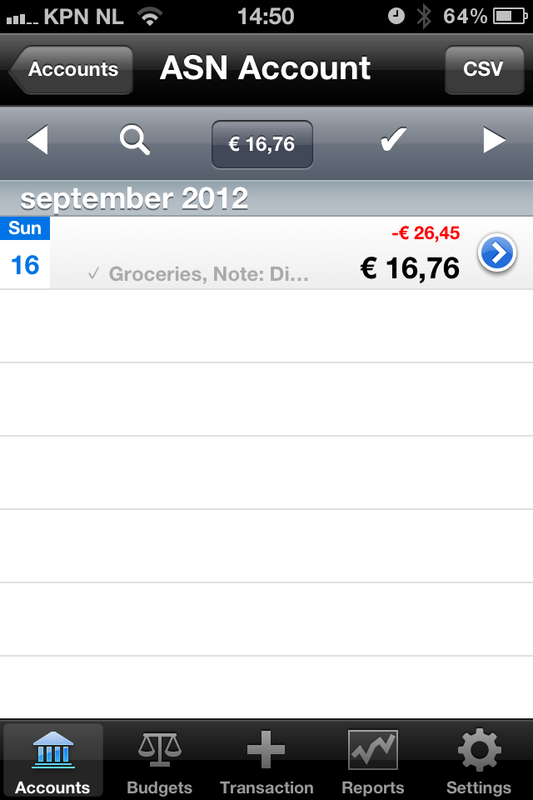 It is used to calculate the right date in the ’18/09/2012′ format since the app expects to read it like this. Make sure you select the script that matches the Bank Account(s) you want to process. When everything goes well, it tells you where to find the generated file. If something goes wrong it tells you what went wrong. Please open the file for manual review, then upload it to the Account Tracker iPad app. 3. Click ‘Choose File’ and select the generated file on your computer. 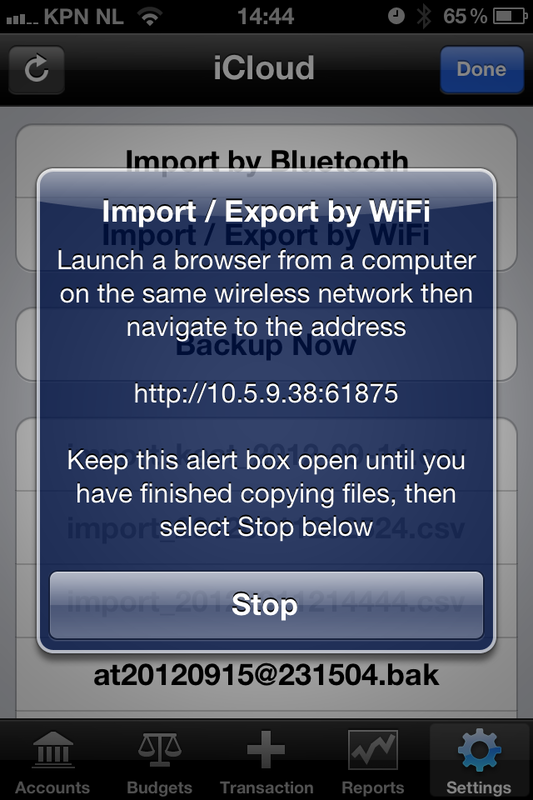 Then click ‘Copy’ to transfer it to your device. Now, that’s cool, isn’t it?! 🙂 You should check if the balance now matches the one on your bank’s website. If you entered the correct opening balance and imported all transactions, the balance should match. In this example we’ve imported a single transaction. I’ve added over 600 transactions at once and that works perfect. 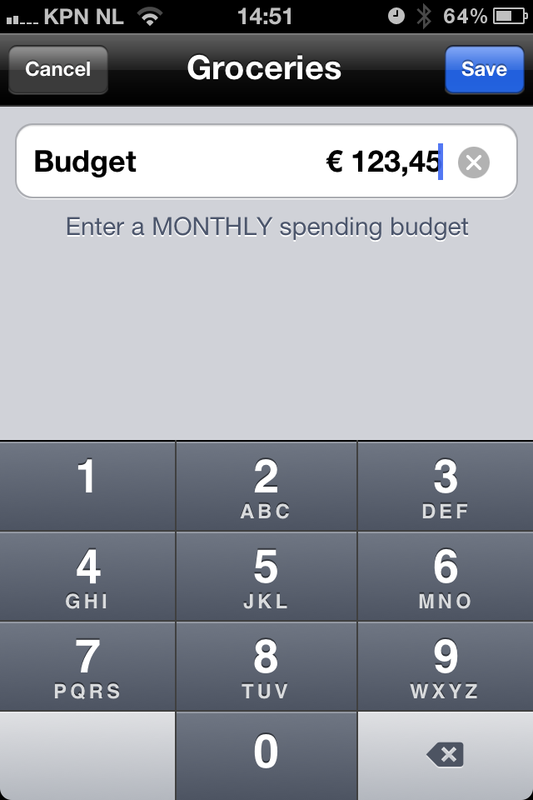 The app detects transfers between your own accounts and does not calculate those as spending. That only works when you add all your accounts, of course. Once you have some data, you can play with the reports and see how money comes in and goes out. It’s pretty detailed and very well designed. You can even export to PDF to save the report somewhere offline. Don’t forget to protect the app with a PIN code. This way, when you lose your device your data cannot be seen. A PIN code on the backups as well is coming. 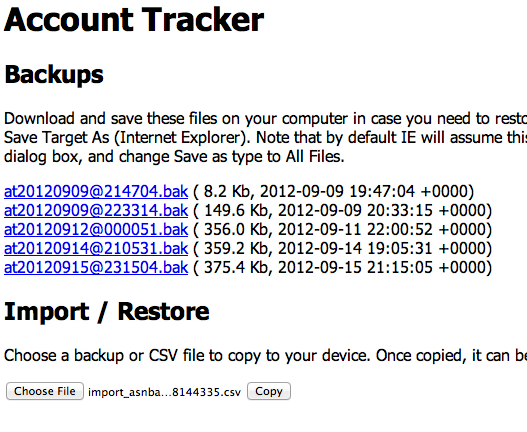 I really recommend the Account Tracker app and hope my scripts will be useful to others as well. Let me know! Just added support for Rabobank (NL). 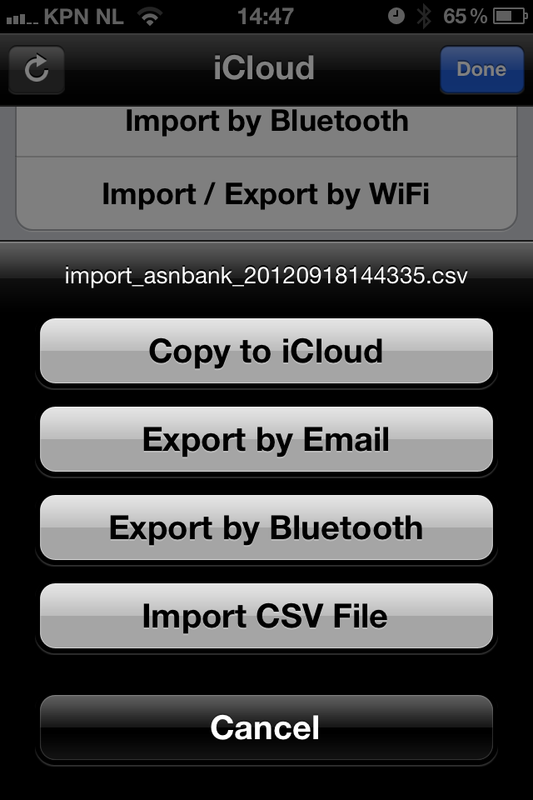 If you want me to support your bank as well, please send me a sample export file and I’ll see what I can do! SNS Bank (NL) is now supported as well. Just added support for ING Bank (NL). Brilliant! Just what I’m looking for too. But … can you help please. Not sure I’m going about this the right way! I’ve downloaded the zip file from GitHub on to my Windows PC and extracted into a Drop Box Folder. Try to edit php file using Notepad and am getting a huge long line of text – is there a better way of editing? How do I run a php? Sorry for not getting back to you any sooner. Do you still need help or does it already work? Thanks Remi, no still stuck!